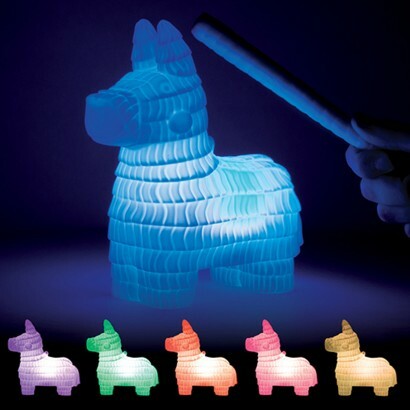 There may not be sweeties stuffed inside this pinata, but it won't fail to delight as it phases through a magical colour change light show! 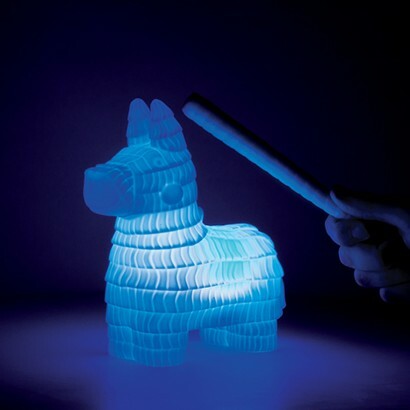 Lit by colour change LEDs, this playful mood light comes complete with it's own whacking stick, simply tap with the stick (or your fingers) to access different light modes choosing from static colour, or colour change effects! 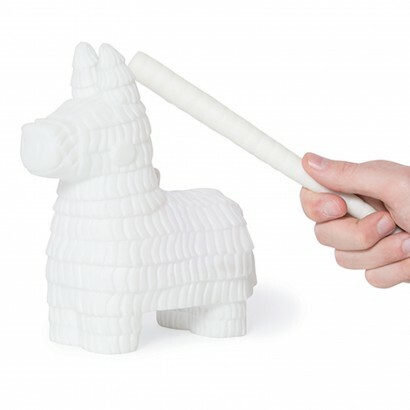 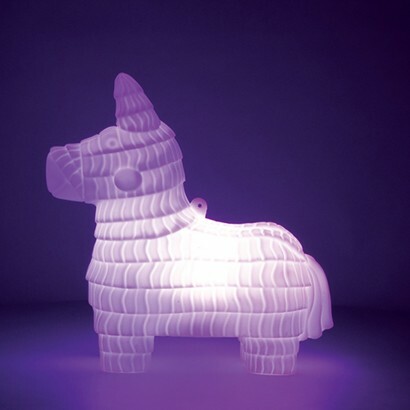 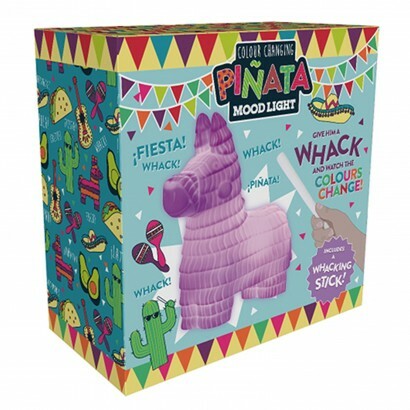 Battery operated, this colourful pinata lamp can be used around the home for festive mood lighting, a colourful night light or a party light, there's even a hook for hanging!